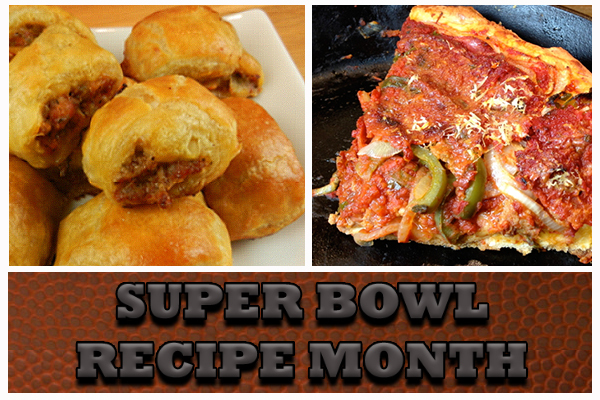 We’ve nearly reached the end of Super Bowl Recipe Month here at KSK, so hopefully by now you’ve come up with some semblance of a plan for this Sunday’s game. No? Don’t feel bad. I haven’t either. A friend of mine asked me the other day if I was going to post a gumbo recipe for since New Orleans was hosting the Super Bowl. I sent her in the direction of the gumbo recipe I posted a couple of years ago when the Saints played the Colts in the Super Bowl in battle of New Orleans gumbo versus Indianapolis sugar pie, so if you’re looking for Cajun-style gumbo go here. (And if you’re looking for a sugar pie recipe, bless you and your diabetes.) You can also check out this recipe for both a traditional and a New Orleans-style Pimm’s Cup click here. I personally love Pimm’s Cups and their Italian cousins the Americano made with Campari, so if you’re looking for lower-alcohol drinks for your Super Bowl party, you’re much better off serving a drink that is a nod to the host city than say, oh, a Miller 64. Still want to make something more traditional but want a hint of something Cajun? The same spices work in most meat dishes, like sausage rolls. What does a deep dish pizza have to do with New Orleans? Nothing unless you want to get into the history of jazz music in America and make a tenuous connection through that route. But it’s the Super Bowl, you might want pizza you make at home and you might be having an intimate gathering or just your family around and this pizza is perfect for such occasions. Full post and recipes at KSK.